If you want to create a beautiful light-filled home, then white curtains are the perfect choice. Effortlessly chic and sophisticated, the transformative effect of white curtains is simply stunning. 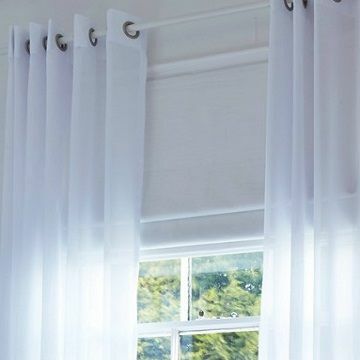 From delicate sheer white Voile curtains to richly embroidered faux-silks, choose white curtains and your windows will instantly become the focal point of your room. White curtains are ideal for giving you privacy during the day while still allowing lots of light to filter into your home. But if you want to make sure your white curtains also work hard at keeping your home cosy in the evenings, you may wish to combine your curtains with blinds for added flexibility and light control. 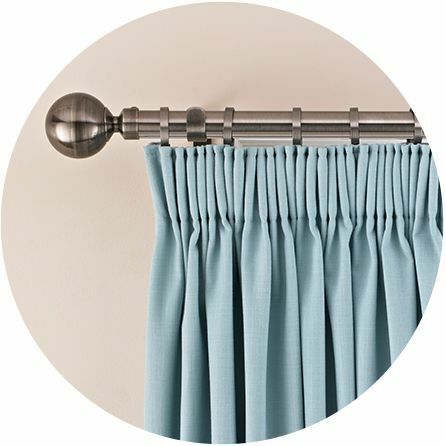 Alternatively, our optional thermal and blackout curtain linings may be all you need to give you the perfect finishing touch. Mistakes can be costly, and that’s why our customers trust us to take care of every aspect of measuring and fitting. 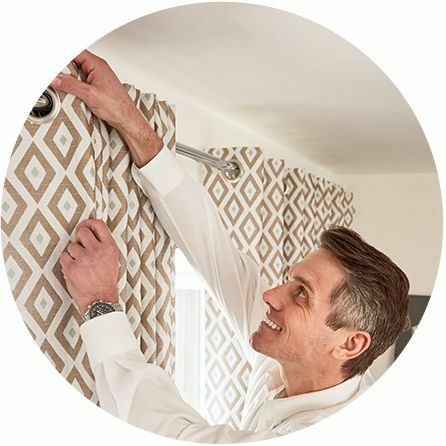 Our knowledgeable in-home advisors can offer you all the help you need to make sure your curtains will look exactly as you want them, which is especially reassuring if you’ve got challenging window shapes such as bay windows and patio doors.